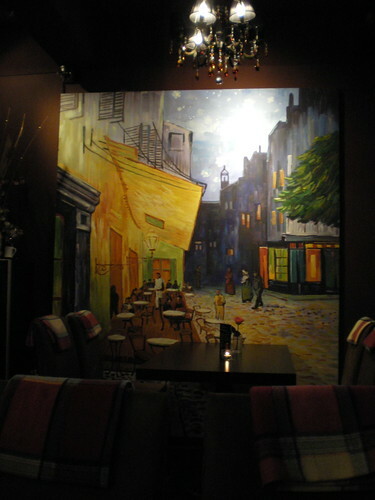 The decor is all reds and browns, giving a cozy yet rather dim feel to the place. The staff were very helpful and attentive, but that may have been because there were only two other customers. I decided to go for the "salami pizza with chili powder" (15,000 won plus tax) and a bottle of Fuller's London Pride Outstanding Pale Ale (8,000 won plus tax). I haven't had British beer for a year and I fancied a little taste of home as the rain poured down outside. Served with a beautiful Fuller's glass, this pale ale may not be the best of British, but to my Cass stained palate it tasted heavenly. My only complaint would be the size of the serving in relation to the cup. 330 ml does not a pint make, so why serve it in a pint pot? A small matter, but the pedant in me refused to be satisfied with a three quarters full glass. 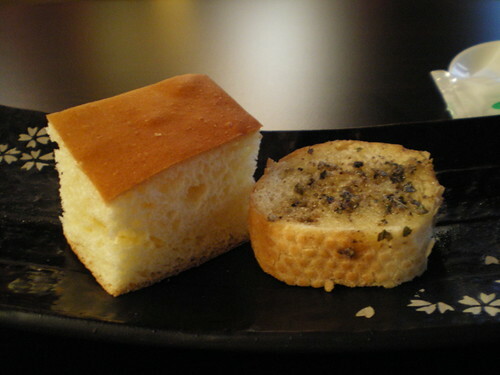 Cucina Acca's yeasty offerings came first with a slice of "brioche" and some garlic bread. The latter was rather tasty, whilst the former seemed a little stale and more like buttery foccacia than brioche. The pizza arrived and I was disappointed. 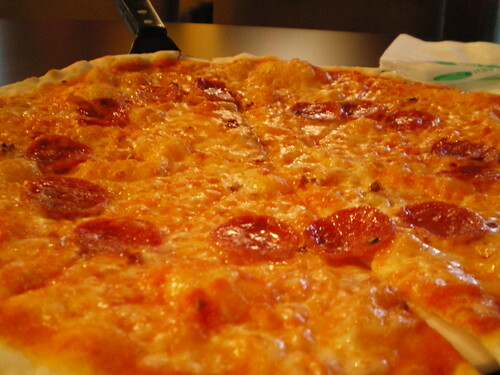 The base was thin, but lacked character; the salami was placed in a circle, rather than dotted about, so only one bite in every four contained meaty goodness and the cheesy top was rather bland. There was an ample amount of chili powder on the pizza, but all it did was cause my mouth to feel slightly irritated. 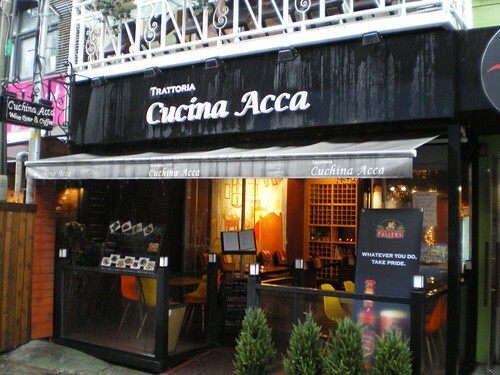 If you really want to go to Cucina Acca then head out of exit one of Itaewon station, take the alley next to KFC and turn left. Cucina Acca is on the left hand side under Syd & Mels and opposite My Chelsea. You can call them on 02 790 5486 or visit their Korean blog here. Why is that hardyandtiny? I've had relatively good experiences there. Is there a specific reason you don't like them? 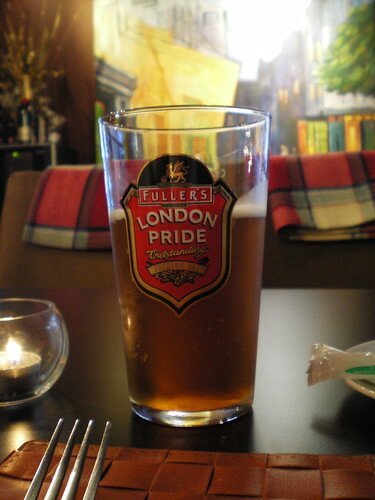 Is this the only place in Korea that serves British ale? Apart from the British Embassy bar? My father in law will be visiting soon and I am hunting down beers he will like. London Pride being here is fairly big news for me.